Phone SSE customer services on their UK contact number 0345 071 9710 for assistance with general enquiries about your gas or electricity needs. Therefore if you believe that you have been overcharged on a recent energy bill you should call this helpline to request a refund. Similarly if you are receiving final notices for a bill that you have already paid you can phone their customer care staff on this helpline to notify them that you made the payment. Alternatively if you aren’t an existing SSE customer you can phone this number to get their latest tariff prices to check if you would be saving money on your monthly energy bills if you joined them. This helpline applies to the Scottish Hydro, Swalec and Southern Electric brands which form SSE so please call them if you have issues in any of their areas. Calling SSE will cost you the same amount as phoning any 01 or 02 local UK landline number, which means you will pay a standard call connection charge alongside a per-minute rate which depends on when you make the call. However you will be able to call SSE for free provided you have free inclusive minutes as part of your landline or mobile contract as these can be used to pay for calls to national 0345 customer service numbers. You can phone their UK-based team from 8am-8pm Monday-Friday and 8am-2pm Saturday so please note that you will not be able to call this helpline on Sundays. Phone SSE on their dedicated contact number 0330 102 8313 if you are an existing customer looking to change your energy tariff you are on. For example please call this number if you would like to switch from a pay as you go tariff to a fixed-rate tariff whereby you pay a monthly direct debit fee. Moreover if they are offering a promotional rate on a particular energy scheme you can phone this helpline to check if you are eligible to receive these discounts. Contact SSE in order to switch your energy supplier by calling their new customer phone number 0345 026 7058, where you can also set up a direct debit order to pay for your gas and electricity needs. SSE will subsequently provide advice on how to receive a final energy bill from your current supplier and inform you of the time-frame involved when changing onto their network. You should also phone this helpline if you are no longer satisfied with SSE and thus you would like to cancel your existing energy account with them, however please note that if you are in a fixed-rate tariff you may have to pay an early cancellation fee if you would like to terminate your contract early. Phone SSE to submit a meter reading by calling their 24-hour contact number 0345 026 7033 which will prevent your gas and electricity bills from being incorrect due to estimated readings. Please make sure you provide accurate readings as you may be fined if you purposefully give false information to reduce the cost of your energy bills. Call the National Gas Emergency Service on their freephone contact number 0800 111 999 to report a leak at your home if you smell gas, however please make sure that you are in a safe location when you call. Furthermore you can also call this number for free from any UK landline or mobile phone if you suspect there is carbon monoxide leak due to a fault with your SSE boiler. Specially-trained advisors on this helpline will tell you how to make your house safe however in the interim you should open doors and windows to help the gas to dissipate. Contact SSE to report a power cut on the national freephone number 105, which is free to call from all UK landline and mobile handsets. The advisors will then get in touch with engineers in your area to determine whether it is a problem with an electricity substation or if it is a problem that is only affecting your home. Moreover you can call this helpline to track an existing power cut to find out how long it will take to repair the fault. Please be aware that they will contact different network operators depending on whether you are in either the original Scottish Hydro or Southern Electric catchment area. Contact SSE by calling their Home Services phone number 0345 076 7646 to get a quote for boiler and radiator cover, where you can also request a repair if you are an existing insurance policyholder. Moreover you can call this helpline for gas boiler installations as well as regular maintenance on your electricity wiring. Once your boiler is installed you can phone this number to change the date of your annual service if the original date is no longer convenient for you. Alternatively if you believe that your gas or electricity meter is giving wrong readings you can examine the table below to find the correct helpline to get technical support and to request an engineer call-out. Phone SSE Water on their general enquiries contact number 0345 078 3200 to notify them of an incorrect water bill and to report a problem with your sewerage pipes such as a leak. Moreover if you are concerned about discolouration or poor taste to your tap water you should phone this number immediately so that they can examine the issue. Contact SSE to notify them that you are moving home by calling their local-rate phone number 0345 600 2006 so that they can transfer your gas and electricity supply to your new address. Alternatively if you would prefer to join a different energy supplier once you move then you can call this helpline to cancel your SSE, Scottish Hydro, Swalec or Southern Electric account once you move home. Phone SSE broadband & landline by calling their customer service contact number 0345 071 9886 to upgrade your current internet package, for technical support for problems with slow download speeds and to report a fault with your home WiFi. You should also phone this number to change your account details and for confirmation of the exact cost of making calls on your SSE landline handset. However if you are interested in signing up to SSE or you would like to make a complaint about your home internet you should examine the helpful table below to find the correct phone number for you to call. Contact SSE on their dedicated phone number 0345 725 2526 for Business Energy customers to manage your company’s energy account and bills, so please dial this helpline to query an overcharged bill and to change the nominated representatives on your account. 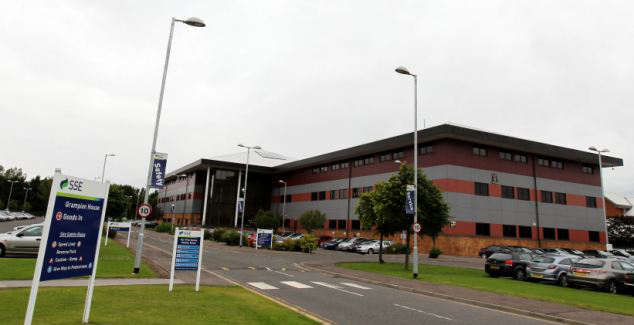 This helpline also applies to legacy customers who hold a Southern Electric, Scottish Hydro or Swalec contract as these businesses are now united under the SSE brand. Similarly if your company is moving premises you can call this number to transfer your energy account to your new business address, however please note your rates may change as a result. Alternatively if you are extending your property and therefore you require new gas or electricity connections please find the appropriate number from the table below; all of these helplines are open 8:30am-5pm Monday-Friday but be aware that closures may be in effect on UK bank holidays. 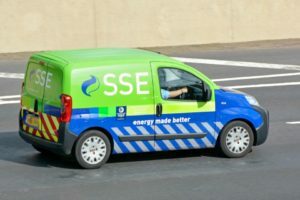 SSE recognise the fact that some of their customers would prefer to contact them in writing thus they offer a postal address, email service and various social media profiles which you can use to reach their customer service advisors. Although it would be quicker to email SSE or phoning their customer service helplines you are still able to send letters of enquiry directly to their UK head office, where you can attach feedback as well as reciepts relevant to a compensation claim for an energy bill. If you would rather contact SSE via email please use their address headofcustomerserviceteam@sse.com or fill out an online general enquiry form on their UK customer service website, where you will also find links to pages detailing their gas and electricity prices. SSE also offer a range of social media profiles to help you to contact their customer service staff, these accounts also act as a way for them to promote their best gas and electricity rates which may help you to save money on your energy bills.